WASHINGTON — Sports and the athletes that play them are often spoken about in terms of legacies — stories with measurable beginnings and ends, despite the fact that many aspects of an athlete’s career are entirely out of his or her own hands. Legacies are defined by both singular moments as well as the full body of work over the course of a career. So what happens when the moment for which you are most remembered stands in such stark contrast to everything else you’ve accomplished? If you google Chris Wondolowski, you’ll know what moment he’s remembered by. There are countless videos of his point blank miss against Belgium in the 2014 World Cup, which would have likely put the U.S. through to the Round of 8. Of fans’ reactions to the miss. Of articles condemning him for the miss, and for the decisions that led up to it. It’s the moment of failure that stands in contrast with the rest of a successful career. Wondolowski was never expected to be anybody. A decorated but lightly recruited soccer player out of high school in Northern California, Wondo — as he was commonly known, even back then — began running track his junior year. After he posted a 4:27 in his first ever 1,600 meter race, a number of top schools began calling to offer scholarships for him to run for them, including the University of California, Berkeley. But all Wondo ever wanted to do was play soccer. Wondo turned down the top offers for track to play Division II soccer at Chico State. While there, he scored 39 goals in 84 games, garnering enough attention to be selected 41st overall in the 2005 MLS Supplemental Draft by his hometown club, the San Jose Earthquakes. But he was mostly relegated to the reserve team in his first year, after which the team relocated to Houston. There he languished on the bench for the better part of four seasons, the prime of his career ticking away. His break finally came in 2009 when he was traded to, ironically, the expansion San Jose Earthquakes, which had been revived the year prior, much the same way the Cleveland Browns were in the NFL. When a couple injuries to players ahead of him forced him into the starting lineup, he took full advantage, becoming one of the premiere scorers in MLS. He was an All-Star by 2012, when he tied the MLS single-season record by netting 27 goals. 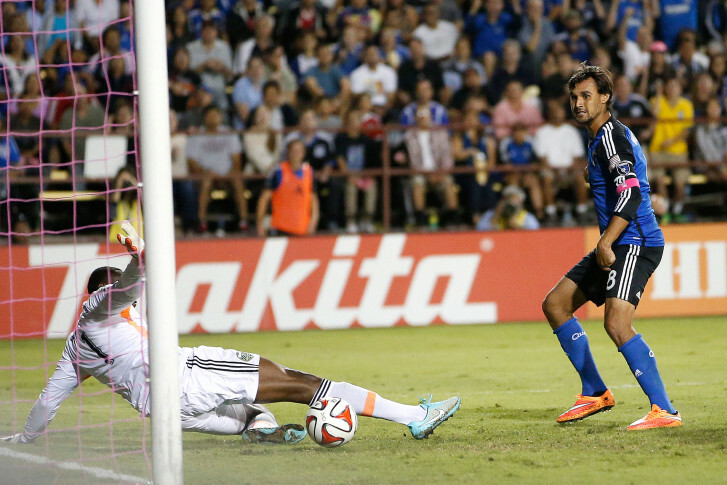 A mere 105 career goals later, Wondo is the sixth-leading scorer in MLS history. At 32 years of age, he needs just four more tallies to jump into the top five. If he can score 40 more goals before he retires, he’ll become the league’s all-time leading scorer, passing the legendary Landon Donovan. Donovan and Wondolowski are already inexorably tied. The face of a generation of American soccer, many were outraged when Donovan was left off the final 23-man US Men’s National Team roster for the 2014 World Cup. His stoppage time goal in the dying moments of the 2010 group stage game against Algeria was a moment of national convocation around the sport, drawing together fans both rabid and casual. And yet, at age 32 himself at the time, Donovan was left in the States as the club traveled to Brazil. The four forwards on the team included veteran locks Clint Dempsey and Jozy Altidore, as well as rising star Aron Johannsson. The fourth and final selection went to Wondo, who shined at the 2013 Gold Cup with the squad, proving his propensity to find the back of the net translated to the international game as well. Head coach Jurgen Klinsmann’s choice wasn’t definitively “Wondo over Donovan,” but many viewed it that way. When Altidore came up lame with a hamstring injury in the team’s opening game vs. Ghana, the forward position was stretched even thinner, and even more focus was put on Donovan’s absence. In the Round of 16, while goalkeeper Tim Howard was busy playing superhero and prompting Americans back home to try to rename the national airport after him, Wondolowski came off the bench in the 72nd minute as a replacement. The game remained tied into stoppage time when, in the 92nd minute, Jermaine Jones jumped for a high-arcing ball and headed it across the box to the feet of Wondolowski, just outside the six-yard box, the goalkeeper charging him in a last-ditch attempt. After the ball cleared the bar, the hopes of the Americans flying into the stands with it, Donovan, watching the game on television back in the states, jumped to his feet, sporting a look of disbelief, but also of knowing the camera is capturing his disbelief, covering his face with his hands. In a recent interview with GQ, Stephen Colbert discussed the pain in his life from losing his father and brothers at a young age and described coming to terms with his loss, explaining how he became grateful for having experienced it. Wondo doesn’t live in regret from Brazil. While he was candid in his apology on Twitter immediately after the game, he hasn’t let that moment own him. In fact, he lives in a remarkably similar and steady fashion to before anyone outside the MLS circles really knew his name. Missing a goal isn’t the same as losing a family member. 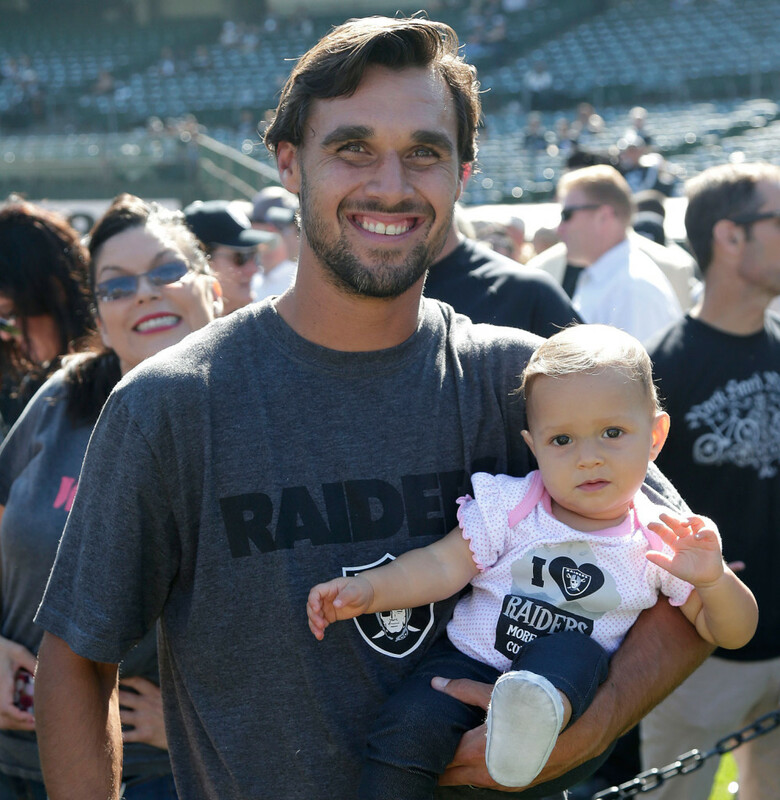 Wondo is married and has a baby, and as he returned to MLS, returned home, and scored for San Jose, he ran immediately over to his newborn to give her a kiss. On Saturday night, Wondo scored a nifty goal in the fourth minute to give San Jose an early lead it would not relinquish in a 2-0 win over D.C. United at RFK Stadium. Last Wednesday he scored twice, including on a diving header, to help the Quakes manhandle Sporting Kansas City on the road, 5-0. While people might be inclined to try to wrap some sort of narrative redemption story around Wondolowski potentially becoming the all-time leading goal scorer, he’s not focused on any kind of career mark as a counterpoint to any questions of his legacy. Of course, he would like to win an MLS Cup. Wondo is also pragmatic about the fact that he’ll likely never get another chance for redemption on the international stage. He’ll be 35 by the time the next World Cup rolls around, with another entire generation of young players ready to take his place. 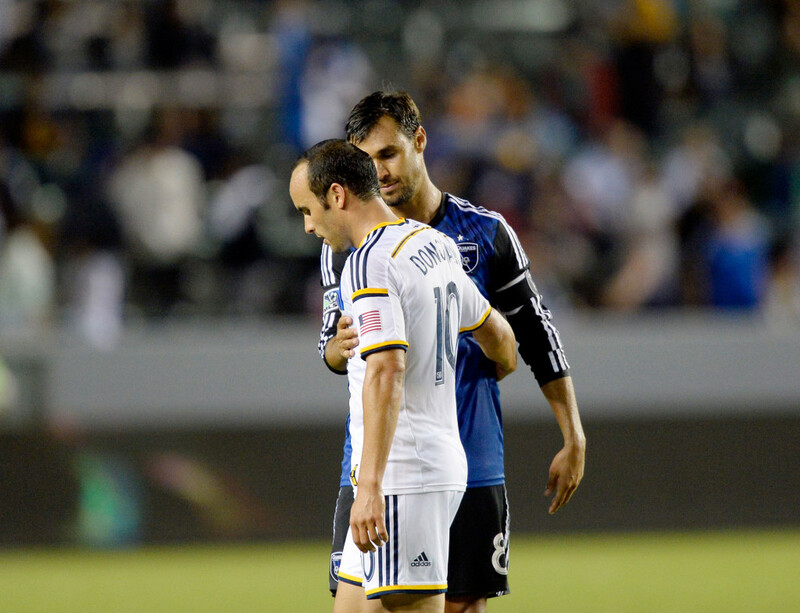 Wondo should be not just a popular American star, but a celebrated one. His rise from virtual unknown to the top of the MLS record books has been the stuff of fairy tales. His prominence as one of the lone Native American athletes in the spotlight (his tribal name, Bau Daigh, meaning “warrior coming over the hill”) gives him a unique platform as a representative of an often underrepresented segment of the American population. He was the first tribally-enrolled Native American ever to represent his country in the World Cup. Wondo is also generous with his spare time, helping out with projects like Street Soccer USA, an organization that uses the game as a vessel to help underserved, special needs and homeless youth and young adults, as well as those in recovery. One bad break shouldn’t define anyone. Wondo should know.